Silay City is 20 kms. north of Bacolod City, the capital city of Negros Occidental. 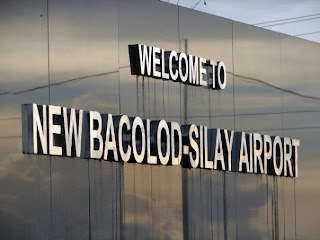 Silay City is the site of the new international airport now having been opened in 2008. Silay is famous for its 'kalan-unon' or confectioneries (food items mostly made from sugar, coconut milk and glutinous rice). In the 60's till the 80's, women vendors would sell their concession placed in a sawali-made flat open basket which is placed on their heads. A white cloth meticulously rolled into a circle is used to cushion their heads from the weight of the sawali basket locally known as 'nigo'. These women, called 'manug-libod', would walk throughout our city streets and sell these during coffee breaks to employees who became their loyal patrons. If you were an office worker during those times, the sight of a woman with the 'nigo' on her head would be a welcome sight to a hungry stomach. Most of the recipes of these confectioneries were handed down from generation to generation. Some do not even have a precise measurement of the ingredients. These recipes take much preparation time, from the grinding of the glutinous rice to the grating of the coconut to produce milk and preparation of the leaves where it will be wrapped. These types of food are usually prepared in the outskirts of our urban cities. Which is why it is always a treat to find these types of food in our everyday supermarket stalls. One part each of ground glutinous rice, brown sugar, coconut milk. Cook over slow fire while stirring continuously. when it becomes sticky and heavy to stir, that means it's cooked! scraping the bottom of the pan. ..........and then, there was none left for me! This was the original packaging of kalamay hati. It is placed in coconut shell and sealed at the center. Shelf life is only 2-3 days. Each of this would weight about 400 gms. Doesn't it look so authentic? For the individual servings, it usually comes wrapped in banana leaves and you gobble it all up in your mouth. In the absence of the coconut shell, microwaveable plastic containers are being used. It is lighter in weight and easy to pack. Shelf life would still be about 2-3 days. When refrigerated, it would last till about 5-7 days. So better buy only what you can consume. However, a precaution to those wearing dentures. Remember, kalamay hati is sticky and chewy. This is usually eaten during an early morning breakfast with coffee or ginger tea (salabat in Tagalog or taho in Hiligaynon). Also best for snacks. And boy! with this size, how many can you finish? What is in an ibus mais? It is a mixture of ground yellow corn and coconut milk which is then poured into the spiral-formed wrap made from coconut leaves. It is neatly arranged, vertically, in a large cauldron or pot and steamed till done. When asked how long does it take to steam. The woman replied that they just estimate the cooking time. mmmmmmmm, isn't that namit? I could finish 5-6 pieces of those! If you are from Negros and when you travel outside of Bacolod and Negros, people you meet would most likely mention 'piaya' to you. Of course, it would come after sugar. Piaya is now a popular 'pasalubong' (take home) item. Among the more famous commercial manufacturers of piaya are Bongbong's, Merci & Bailon's. Each manufacturer has its own taste. It now comes in different flavors like ube, pandan, mango aside from the original muscovado. Other piaya manufacturers experiment on some other flavors to give it a new twist. So it is up to you to discover your taste. Do you see that small round white thing? That is the dough. The muscovado is placed in the middle and rolled with both palms. The dough is then flattened. and after a few minutes of turning the dough on its side several times till it browns ............voila! Panara is another famous delicacy of Silay. It is crispy when newly fried. Especially at its folded edges. It is mongo sprouts sauted in pork & shrimps and wrapped in an orange-colored dough and deep fried. The secret of its crisp is frying it in very high temperature and turned over continuously to achieve even cooking. Sayang, I wanted to join this one but I was kinda busy with the cut-off. Till next time Car. thanks, Mommy Rubz. You inspire me! Can you please post the recipe of the Panara.Cause i want to try it.Thank you very much.